Unfortunately fish passage is rarely even considered for hydroelectric facilities in Ontario; however, this report may indicate the beginnings of positive change. Fish passage has long been recognized as an important consideration in managing Canada’s fisheries resources. A decision-making framework developed in British Columbia provides one of the most comprehensive ways to approach fish passage resolution at a proposed project. This process outlines assessments of environmental, financial-technical, and social benefits or the “BC triple bottom line”, in determining the need for fish passage. In addition to such a framework, it is important to note that the decision making process frequently relies not only on enabling legislation and policy, but on technical issues, the interpretation of the latest research results, as well as in-depth expertise on fish passage. Often, in-depth knowledge can make a difference, particularly when data on fish and fish behaviour are lacking. “American Eels were once abundant in the upper St. Lawrence River, Ottawa River, Lake Ontario, and their tributaries, and in fact were so plentiful that they were an invaluable source of sustenance to First Nation communities and early European settlers, and more recently supported thriving commercial and sports fisheries. This all changed with the advent of a multitude of hydroelectric dams constructed within the historic range of the species. “Recently, The International Joint Commission (IJC) formed a body called The Great Lakes St. Lawrence River Adaptive Management Task Team (GLSLRAMTT). The need for this team apparently stems from the fact that water levels in the Great Lakes are going to become more erratic through time, mainly as a result of Global Warming. While Global warming has by now been accepted as factual by the majority of citizens, history has proven that the future is somewhat difficult to predict, e.g. Environment Canada’s 7-day weather forecast. “Adaptive” is defined by The New Lexicon Webster’s Encyclopedic Dictionary as “tending or able to adapt”. “Adapt” is defined as “to put oneself in harmony with changed circumstances”. Who among us has seen circumstances in the natural world change “for the better”? I’m hard-pressed to think of one example. However, countless examples of Humankind’s tinkering with Nature, giving rise to only negative results can be quoted. “Invasive aquatic species – such as the sea lamprey – brought in through the St. Lawrence Seaway” come to mind. So, adaptive management to me means “adapting to a worsening situation”, which is not management at all, but merely “resignation” with “mitigation”. Perhaps a better name for adaptive management would be “Adaptive Mitigation” – or “Slowing down the inevitable”. It seems to me that by creating this task team the IJC is drawing attention away from an immediate and proven problem, which is the serious and ongoing loss of water from the Lake Huron – Michigan Basin. This has been well documented through the past decade and is based upon hard facts, rather than conjecture. Many possible and obvious solutions to this problem have been put forth, but the IJC prefers to wait and see, while diverting large amounts of tax dollars to the GLSLRAMTT. The Webster’s Dictionary defines “conjecture” as “guesswork, opinion or theory based on presumption or insufficient evidence”. To predict the results of global warming at this time is mainly, if not purely, conjecture. 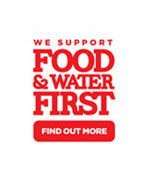 Let’s get on with the job at hand – which is to restore the Lake Huron water level! In Ontario, many rivers and streams have been fragmented by dams and hydro-electric stations, creating substantial barriers to fish migration. For example, Ontario Power Generation (OPG) operates 65 hydro-electric stations and 240 dams on 24 river systems. While hydro-electric dams contribute to Ontario’s energy supply, these structures can have damaging effects on aquatic ecosystems and species. Dams can fragment aquatic ecosystems, create barriers to fish migrating upstream, alter river flow and temperature, and kill fish in turbines during downstream passage. Dams and hydro-electric stations along the St. Lawrence River, such as the Moses-Saunders Power Dam near Cornwall, are considered a threat to the survival of the American eel (Anguilla rostrata) population in Ontario. It is classified as an endangered species under the Endangered Species Act, 2007 (ESA). Eels have a complex life cycle. They are born, spawn and die at sea, have a single breeding population, and some migrate to freshwater to mature. The eel has a vast range on the western side of the Atlantic Ocean from Venezuela to Greenland and Iceland. They migrate great distances throughout their life stages, some travelling as far as 6,000 km. The species’ native Canadian distribution includes all fresh water, estuaries and coastal marine waters that are accessible from the Atlantic Ocean. Juvenile eels (elver) migrate through the St. Lawrence River to Lake Ontario, where they mature into silver eels and migrate back to the Atlantic Ocean, to spawn in the Sargasso Sea. More than 25,000 dams block the eels’ freshwater range, from Florida to Ontario. Eels are an important fishery worldwide, for both Aboriginal traditional use and as a commercial fishery. Eels are harvested at virtually all life stages and in most of their habitats, such as freshwater lakes and rivers, estuaries and marine environments. However, a plummeting eel population forced MNR to close Ontario’s commercial eel fishery in 2004 and the recreational fishery in 2005. Eels were once abundant in the St. Lawrence River and Lake Ontario, which by some estimates comprised approximately half the fish biomass in the 1600s. 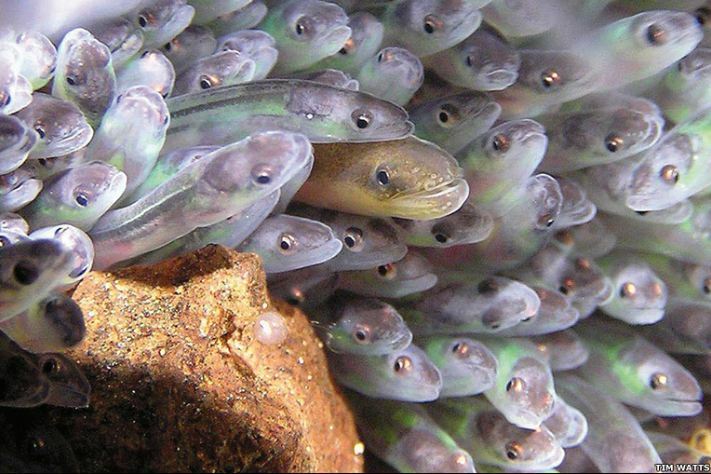 Since the 1970s, the eel population has been declining at an alarming rate and the full causes for the decline are unknown. However, dams have an impact on eel populations in two ways: they restrict access to upstream habitats and cause eel mortality in turbines. In the St. Lawrence River watershed, over 8,000 dams restrict access to more than 12,000 km2 of freshwater habitat for eels. Two major dams block eel migration from Lake Ontario; the Moses- Saunders Power Dam (which includes the R. H. Saunders Generating Station in Ontario and the Robert Moses dam in New York State) constructed in the 1950s and the Beauharnois dam near Montreal constructed in the 1930s. Both dams were retrofitted with eel ladders in 1974 and 1994, respectively, to facilitate the upward passage of eel migration. Unfortunately, eels migrating downstream are estimated to suffer at least 40 per cent mortality due to passage through turbines. MNR has monitored eels ascending the Moses-Saunders Dam ladder since its construction. 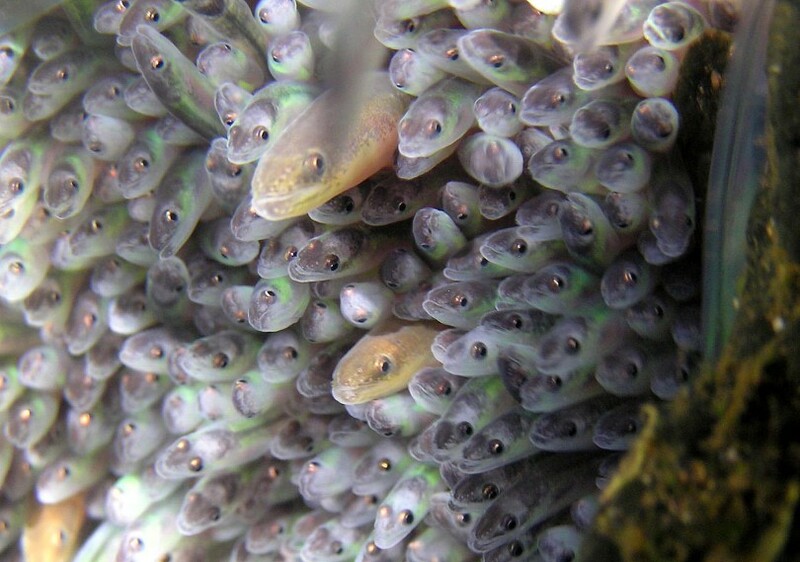 In 1982 and 1983, more than 26,000 eels per day were observed ascending the ladder during peak migration; by 2002, eel passage declined to approximately 55 eels per day. The Lake Ontario Committee of the Great Lakes Fishery Commission issued a statement in 2002 that without management intervention, extirpation of the eel in the Great Lakes Basin is likely and that management actions within the St. Lawrence River and Lake Ontario should be taken to reduce eel mortality at all life stages and to encourage safe, effective upstream and downstream migration. In 2007, eels were classified as an endangered species under the ESA. Ontario Regulation 242/08 under the ESA exempts hydro-electric generating stations from the prohibitions against killing and habitat destruction if an agreement is entered into with the Minister of Natural Resources. While all other stations have a three-year grace period to enter into an agreement, the R. H. Saunders Generating Station had one year (until June 2009) to enter into an agreement respecting eels. In June 2009, the Minister of Natural Resources entered into a 20-year agreement with OPG under the ESA respecting eels at the R.H. Saunders Generating Station. The agreement includes a five-year implementation plan consisting of a trap and transport project (to capture, transport and release large eels upstream and downstream of the generating station), a juvenile eel stocking program (to supplement natural recruitment loss) into the St. Lawrence River and Lake Ontario, and requirements to operate and maintain the existing eel ladder. Under the agreement, OPG is required to implement and monitor the effectiveness of the implementation plan. MNR will audit OPG at least once a year to review compliance with the agreement. It is noteworthy that the eel recovery strategy and the government’s response were not finalized prior to this agreement. The ECO believes that the agreement should be amended if necessary to reflect both documents once they are completed. While the agreement appears to mitigate some of the effects of the hydro-electric station on eels (e.g., stocking and transporting eels), it does not effectively address the protection and recovery of eels. For example, the agreement’s pilot trap and transport program superficially addresses safe downstream migration of eels – it artificially relocates eels that may or may not be ready to migrate. 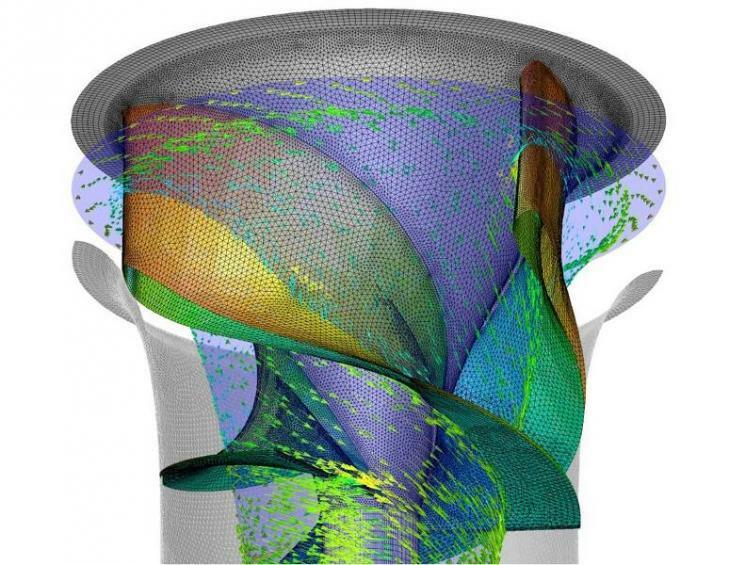 An amended, strengthened agreement would emphasize safe, natural migration of eels downstream, such as the installation of bypass structures or altering the timing of operation (turn off turbines at night during migration) to reduce turbine mortality. 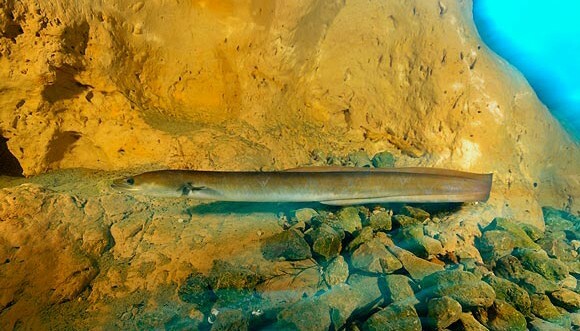 Safe and effective natural passage of eels, both upstream and downstream, must be addressed at dams along the St. Lawrence River and tributaries if Ontario’s eel population is to recover. Given these concerns, the ECO cautions MNR in using this agreement as a template for other hydro-electric stations where eels are present. Although the Moses-Saunders and Beauharnois dams have eel ladders to help migration upstream, there are many dams in Ontario with no fish or eel ladders. For example, the Ottawa River is blocked by 12 hydro-dams, none of which are equipped with an eel ladder. Fragmented rivers and streams have damaging effects on the survival of many other aquatic species: dams prevented Atlantic salmon from reaching their spawning grounds, and were considered to be a significant factor in their decline and ultimate extirpation from Lake Ontario. The ECO believes that MNR should require, through approvals issued under the Lakes and Rivers Improvement Act (LRIA), that all new dams facilitate natural passage of fish by installing fish ladders or other similar structures. In addition, MNR should require all existing dams to be retrofitted with fish ladders or other similar structures to facilitate safe and natural migration along the course of all Ontario’s streams and rivers, through LRIA approvals for improvement or repair to dams.